I happened several times to have problems with certain services related to exchange autodiscover (i.e.. Offline Address Book, Out Of Office), especially in installations / migrations with multi-tenant exchange that is when exchange manages multiple domains. The result is that in addition to have not working services every time outlook tries to access them you will get an authentication request popup … I think is the most odious thing of an incorrect configuration of exchange and I don't understand how it is possible that Microsoft has not created something to automate, verify or properly handle this issue. Usually the problem is due to the fact that autodiscover service is not properly resolved and, obviously, the fact that exchange manages various domains doesn't helps us. There are a couple of ways to solve the problem, which is the better is up to you on the basis of “where you can get your hands on”. First of all the IIS in question can NOT be the one that manages OWA, IIS must be version 7. 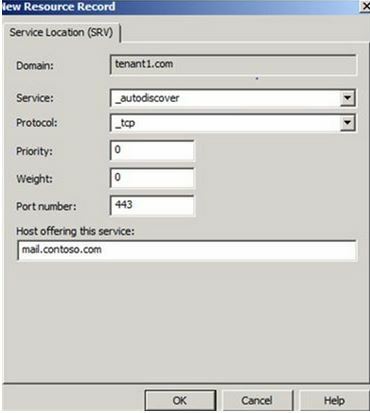 In this case you will have to create an A record that resolves the name of each autodiscover.domain1.com and that points to the server with IIS on which we rely. 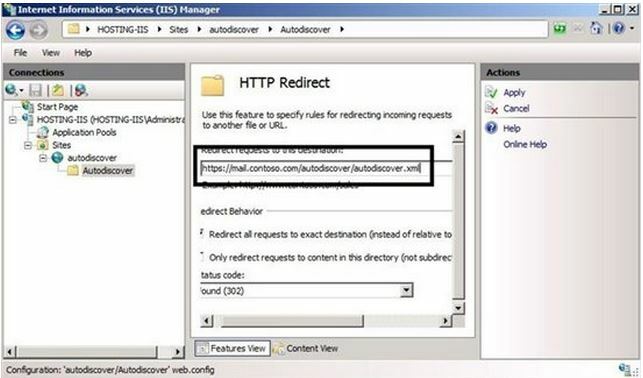 Within IIS we must then configure a site called autodiscover and then create a redirection to the autodiscover running on the CAS server. Bindings must then been configured so that IIS responds to requests for all domains (i.e.. autodiscover.domain1.com, autodiscover.domain2.com etc.). The solution through the use of SRV records is certainly the most convenient but, as I said before, it depends also by the fact that you can put hand to all dns servers that manage the various domains. If not, the second solution is always feasible.